Edward Bloodgood held Brentwood, a station on the Nashville & Decatur Railroad, with 400 men on the morning of March 25, 1863, when Confederate Brig. Gen. Nathan B. Forrest, with a powerful column, approached the town. The day before, Forrest had ordered Col. J.W. Starnes, commanding the 2nd Brigade, to go to Brentwood, cut the telegraph, tear up railroad track, attack the stockade, and cut off any retreat. Forrest and the other cavalry brigade joined Bloodgood about 7:00 am on the 25th. A messenger from the stockade informed Bloodgood that Forrest’s men were about to attack and had destroyed railroad track. Bloodgood sought to notify his superiors and discovered that the telegraph lines were cut. Forrest sent in a demand for a surrender under a flag of truce but Bloodgood refused. Within a half hour, though, Forrest had artillery in place to shell Bloodgood’s position and had surrounded the Federals with a large force. Bloodgood decided to surrender. Forrest and his men caused a lot of damage in the area during this expedition, and Brentwood, on the railroad, was a significant loss to the Federals. The Battle of Brentwood was a battle of the American Civil War, occurring on March 25, 1863, in Williamson County, Tennessee. Union Lt. Col. Edward Bloodgood held Brentwood, a station on the Nashville & Decatur Railroad, with 400 men on the morning of March 25, 1863, when Confederate Brig. 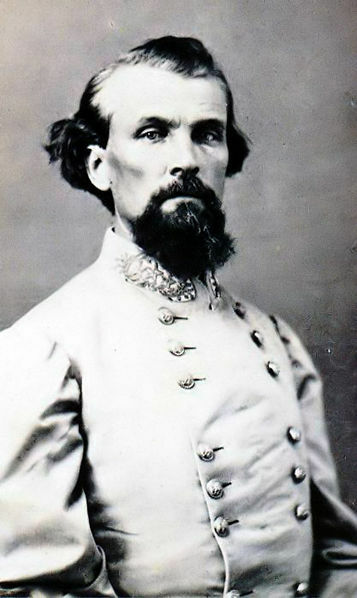 Gen. Nathan Bedford Forrest, with a powerful column, approached the town. The day before, Forrest had ordered Col. J.W. Starnes, commanding the 2nd Brigade, to go to Brentwood, cut the telegraph, tear up railroad track, attack the stockade, and cut off any retreat. Forrest and the other cavalry brigade joined Bloodgood about 7:00 a.m. on March 25. A messenger from the stockade informed Bloodgood that Forrest's men were about to attack and had destroyed railroad track. Bloodgood sought to notify his superiors and discovered that the telegraph lines were cut. Forrest sent in a demand for a surrender under a flag of truce but Bloodgood refused. Within a half hour, though, Forrest had artillery in place to shell Bloodgood's position and had surrounded the Federals with a large force. Bloodgood decided to surrender. Forrest and his men caused a lot of damage in the area during this expedition, and Brentwood, on the railroad, was a significant loss to the Federals.